Today, the King of Stones, the family protector, comes out to pay us a visit. 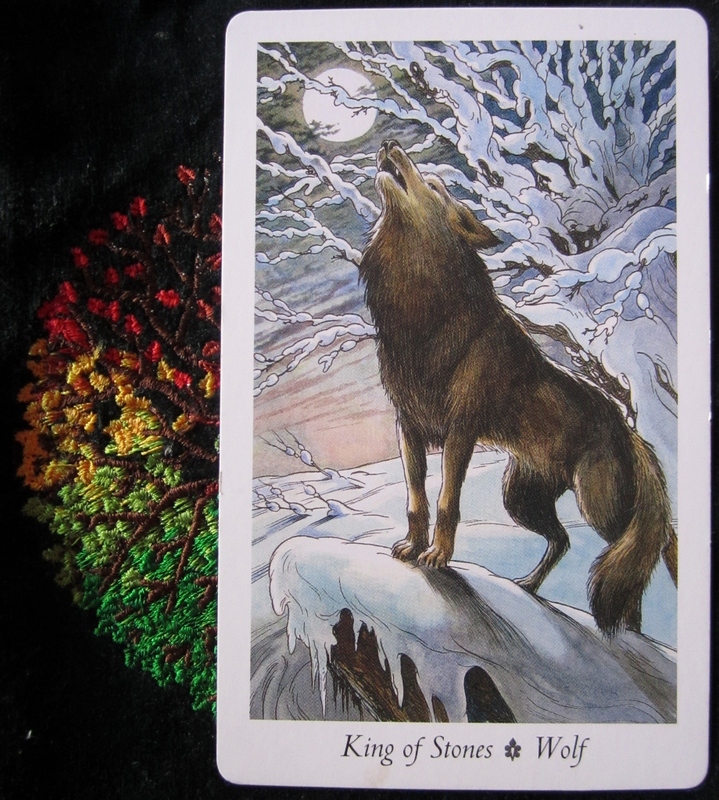 The last time Mr Wolf came out to visit, it was at the end of the Tarot Conference. The pack this time might not be my fellow TABI members, though I am sure that during my tenure as chairman, the need will come up again. I suspect, this time it might be my own flesh and blood. 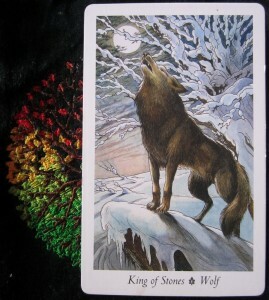 The Wolf is protector, howling and perhaps bringing on the fight. And I always seem to post his image on the right: what does that tell you? I’ll add more the protection, determination, defend, family, spirit teaching, stealth, instinct and intelligence later on, but for now, I think I have more than enough to contend with for the day. So, good morning!! Be on your guard and defend well, for the right and just reasons. I aim to at least try that and combine instinct with wisdom, if I can.